This refactors validate_drp to use the validate_base API (DM-7042). All JSON serialization code is now in validate_base; validate_drp exclusively uses that API. The validate_base API is slightly different from the version originally included in validate_drp. 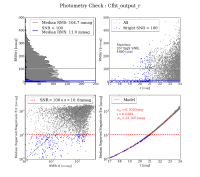 A significant change is the use of astropy quantities for serialized measurements. Refactored utility module to make it easier to follow computations. Functions directly associated with a measurement are included in that measurement's module. The calculations themselves are refactored into function independent of the measurement classes, again, to make it easier to follow the calculation.